The Festival warmly welcomes Laura Walter as our new Education Coordinator. Laura is taking over duties from Andy Radford, who has headed BRAVO for the past 12 years. Andy will remain as the Festival’s Intern Coordinator and Laura take charge of planning, organizing, and scheduling BRAVO’s activities in local classrooms and the Ojai community. No stranger to Ojai’s schools Laura is a longtime BRAVO Artist in Residence, leading workshops in ETM (Education Through Music) for K-3 students. She also teaches at Westmont College and performs regularly with the Santa Barbara Symphony, Opera Santa Barbara, and other chamber groups in the Santa Barbara and Los Angeles area. Laura has recorded over a dozen CD’s with various artists. She has arranged several flute choir pieces and composed an etude book published by Alry Publications. She has also performed with Henry Mancini, Doc Severinsen, Yanni, and Steve Allen, among others. Recently, she was featured on a recording of J.S. Bach’s Mass in B Minor with the Santa Barbara Master Chorale, and locally premiered Cut.Pieces with performance artist Ursula Gallenkamp. 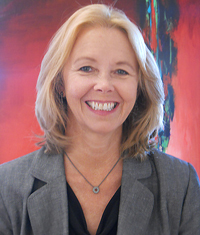 The former Executive Director of The Richards Institute of Education and Research, a non‐profit group, Laura continues working with teachers and children, especially at‐risk youth, using the experience of interactive play to develop song, movement, motivation, intelligence, literacy, emotional stability, and beauty. She is the regional coordinator of Education Through Music (ETM) and leads workshops for teachers to incorporate the arts into the current STEAM philosophy, integrating song, movement and play into daily activities for an integrated and more effective classroom. She continues working with children across the nation at annual Fine Arts Family camps and workshops.